A couple of Kalyanji Anandji EPs while I'm at it. 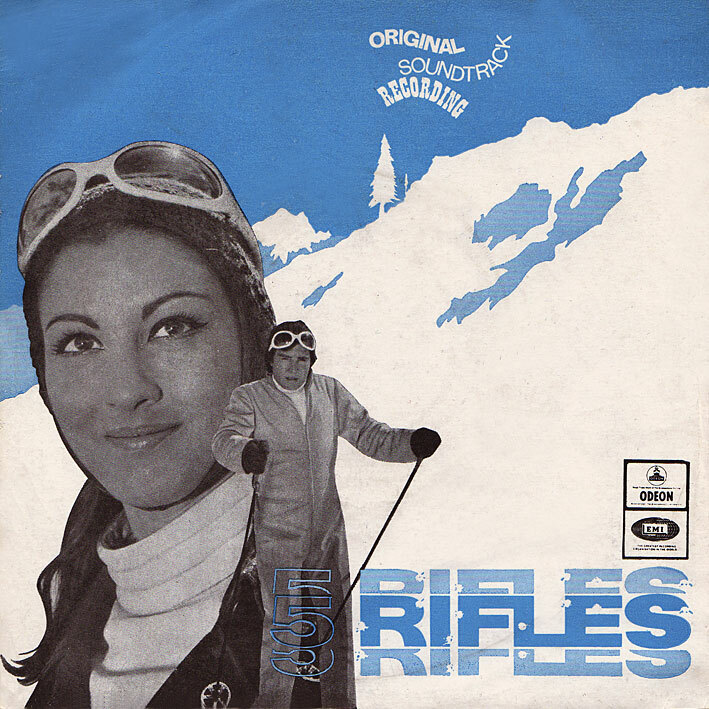 '5 Rifles' falls more or less into the same category as 'Hasina Maan Jaayegi' below... there are bouncy rock 'n' roll bits in 'Tera Husn Allah Allah', 'Pyar Ke Patang Ki' has a great intro; otherwise there's nothing much of interest going on. 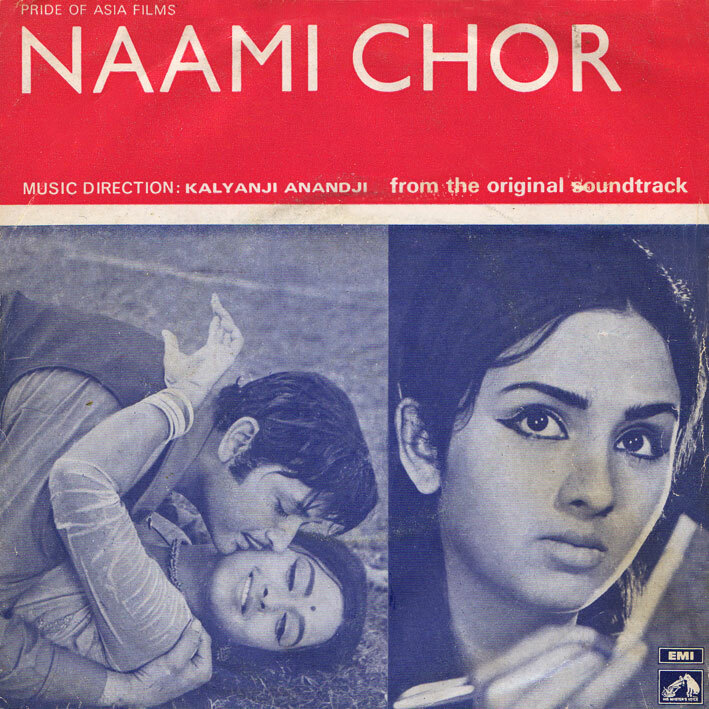 'Naami Chor' is better... 'Kahte Hain Mujhko' is a cool Kishore Kumar number featuring an ace piano and whistling break (there's a Spanish trumpet in there as well) and Asha's 'Aap Se Mujhe Aap Se Pyar Ho Hi Gaya' has a nice mid-tempo beat, plenty of instrumental details as well as being a lovely choon. Thanks, these are hard to find! your dedication to this project is much appreciated, i've learned a lot over the months I've been following your blog! Haven't heard of the film names, but I liked couple songs, mainly lyrics. "Thanks, these are hard to find!" Leaves me wishing that there was one out there that featured Arabic (etc) Bellydance tunes from the past. Radio Bastet is great but unfortunately she doesn't do whole albums. These two gems are much appreciated!